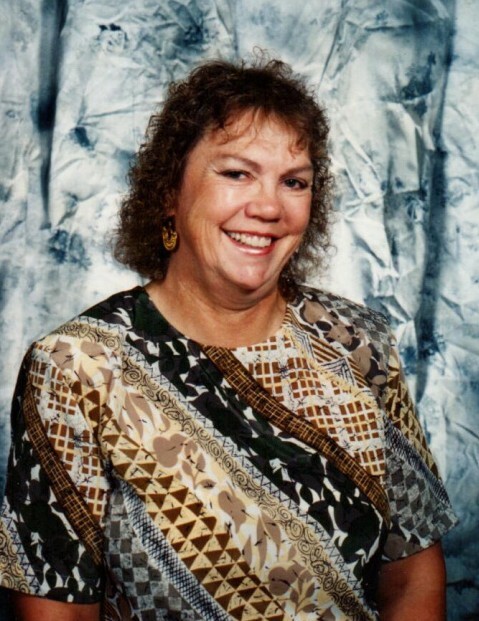 Loma P. Van Cleave passed away after a long bout of cancer on Wednesday, December 5, 2018. She was born on March 3, 1936 in Park City to George F. and Iona Jensen Petersen. She attended Salt Lake City Schools graduating from Olympus High School in 1954. She attended Utah State University and later graduated from Weber State with an Associate Degree in Nursing. Subsequently, she graduated from the University of Utah with a Bachelors Degree in Nursing. During her attendance at Utah State, she met the love of her life, Deon Van Cleave. After his graduation Loma married him and they were married 62 years. Her professional career began as an O.R. Tech at the old Dee Hospital. She stopped to raise her daughter and son until they were old enough for her to return to college and become an RN in the O.R. at McKay Dee Hospital. She became Clinical Coordinator of Urology. Later she also had the responsibility for the Urodynamics Lab. Prior to their retirement, she and Deon traveled to many places in the World including the Soviet Union, China, the Philippines, Kenya, Australia, New Zealand, and several countries in Europe. After retiring, they traveled extensively throughout the US, Canada, and Mexico in their motorhome. In recent years they have spent winters in Southeast Arizona. Loma is survived by her husband, Deon; son, Jon; two granddaughters, Shantel (Braden) and Whitney (Mat); three great-grandsons, Aiden, Kasen, and Bryker; brother-in-law, Tom (Bonnie); sister-in-law, JoAnn; and special friend, Max. She was preceded in death by her daughter, Julie Ann and her parents. At her request, there will be no visitation or funeral service. She will be cremated and her ashes will be buried at Lindquist’s Memorial Gardens of the Wasatch next to her daughter, Julie Ann. There will be a short service at the graveside at a later date. Her survivors would like to express their sincere thanks to Sara, Carole, and all of the hospice crew for their loving care of Loma during this trying time. In lieu of flowers, please make contributions to Best Friends in Kanab, Utah.